(CNN) - President Donald Trump on Thursday said he believes Jamal Khashoggi is dead, more than two weeks after the Saudi journalist entered a Saudi consulate in Turkey never to be seen again. The President said he is still waiting for the results of Saudi and Turkish investigations before offering his definitive assessment of the situation. 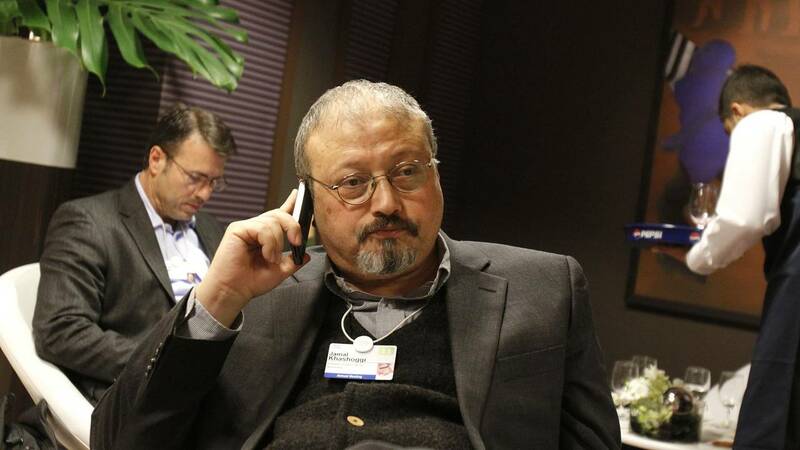 But he indicated that Saudi Arabia will face "severe" consequences if the Kingdom is found to be involved in Khashoggi's death. "It certainly looks that way to me, it's very sad," the President said on Thursday when asked if Khashoggi is dead. Asked about consequences for Saudi Arabia if it is found to be involved in his killing, Trump said: "Well it'll have to be severe, I mean it's bad, bad stuff. We'll see what happens. Ok?" Trump's comments came hours after Secretary of State Mike Pompeo returned from a diplomatic mission to Saudi Arabia and Turkey and briefed Trump on Thursday morning in the Oval Office. Both Trump and Pompeo appeared to be buying time for the Kingdom on Thursday saying they were waiting on the results of both Saudi Arabia and Turkey's investigations into the matter before issuing a definitive statement about Khashoggi's death and any possible US action. Trump said he is "waiting for the results" of those investigations, after which he pledged to make "a very strong statement." Even as evidence has mounted that Khashoggi was killed in the Saudi consulate over the last two weeks, Trump has resisted weighing in on Khashoggi's fate, merely saying that he was "very concerned" about the situation and that he hoped the Saudi king and crown prince had no prior knowledge of the matter. Trump so far has indicated he might be willing to accept Saudi claims that King Salman and Crown Prince Mohammed bin Salman, the kingdom's defacto ruler had no knowledge of Khashoggi's death. Last week after he spoke to the Saudi king, Trump pointed to a theory that "rogue killers" may have killed Khashoggi. But on Thursday, Saudi Arabia felt the first repercussions from the US for its alleged role in Khashoggi's killing, with Treasury Secretary Steve Mnuchin pulling out of a planned appearance at a Saudi investment conference last week. An administration official said no US officials would attend the conference in his stead. And yet even that decision came only after several of Mnuchin's European counterparts pulled out of the conference and following a string of high-profile withdrawals from top US CEOs. The Trump administration has staked much of its policy agenda in the Middle East on a strong US-Saudi relationship, one the President's son-in-law and senior adviser Jared Kushner has helped draw closer through his personal relationship with Crown Prince Mohammed. The US needs Saudi support on a whole range of issues from funding for Syria's reconstruction and the fight against extremists there, to getting Saudi financial support for a Middle East peace plan.